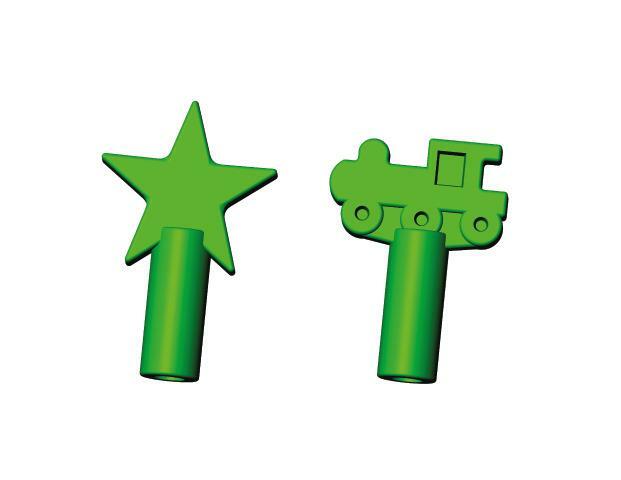 Shape pencil toppers come in a set with a star and train. If your child bites, chews, or grinds, give them something safe to chew on. Fits any number 2 pencil, is safe for teeth, is socially acceptable, is allowed in classrooms, increases attention, lowers anxiety levels, and has been proven to improve concentration skills in children constantly seeking sensory input. Flavors; 3PTSH-Plain 3PTSHG-Grape, 3PTSHC-Chocolate. BP, latex and Phthalate free material, coloring and flavor. FDA-approved materials.